With 16 competing entries, Junior Eurovision 2014 in Malta was the biggest edition of Junior Eurovision since 2007. It featured three debuts (Italy, Montenegro and Slovenia), four returning countries (Bulgaria, Croatia, Cyprus and Serbia), and one very sunny island. We packed our sun tan lotion and enjoyed jam after jam. We hoped that this year’s contest, held in Sofia, Bulgaria, would be even bigger. So far, not so good. Today it emerged that Iceland has turned down the chance to debut at the contest, and Lithuania has said it has no plans to return. We can picture the behind-the-scenes negotiations. And what if Michele Perniola asked really nicely? Right. Lithuania joins fellow Baltic country Latvia in abstaining from a return, having last participated in 2011. They once placed third, in 2008, but haven’t done all that well in the contest otherwise. Iceland was heavily rumored to debut in last year’s contest. They stayed away and, despite seeing the success of the show in Malta, still aren’t convinced by JESC. Andorra, Austria, and the Czech Republic have also ruled out a debut this year, and the United Kingdom has ruled out a return. However, Ireland confirmed its debut earlier this year, and several countries, such as Germany and Hungary, are still looking to potentially participate. What countries are you excited to see in this year’s Junior Eurovision? I think Croatia and Ukraine will withdraw, Azerbaijan, FYR Macedonia and Moldova will return, maybe Romania or Greece too and Germany and Hungary will debut together with Ireland. So there could be maximum 23 countries in Bulgaria. I think that JESC particpating countries could be added to 20 countries, or if can add up to 26 countries! Additional of participating countries would help JESC to be better. Then more countries means more diverse acts. In the future, JESC would have at least 15 countries to present diverse children songs from Europe. I hope the JESC isn’t postponed or cancelled due to lack of participants, like the Dance Contest, before Ireland has a chance to debut. I’ve been wanting an Irish participation in the Junior edition for years. So far, I think it is the only Eurovision that we have a chance of winning. Plus, as Deven said, if the selection process was done right by TG4, the it would definitely show RTE how ridiculous and amateur the national broadcaster really is. I would also love to see the reaction that our national language, As Gaelige, receives on the international stage. I hope TG4 take JESC seriously because that might motivate RTE to lift the finger. I mean, if TG4 have the budget for a 5 week national final, hopefully this will prompt RTE to drastically overhaul the national final. Give it the changes it needs. The United Kingdom has still 2 broadcasters to turn JESC down. Channel 4 & BBC. 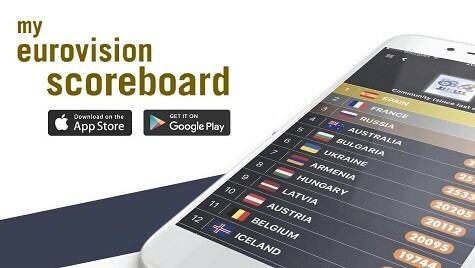 With the failure of Iceland to qualify in Vienna, and Lithuania’s low placing (18th), it seems they’ve decided to put all their energy into improving their standings at the senior level. Austria (0 pts. ), U.K. (5 pts. ), Czech Republic (NQ), I’m not surprised they’re not participating in the JESC. I would like to see Azerbaijan, Macedonia and Moldova come back. They were absent last year for no reason.